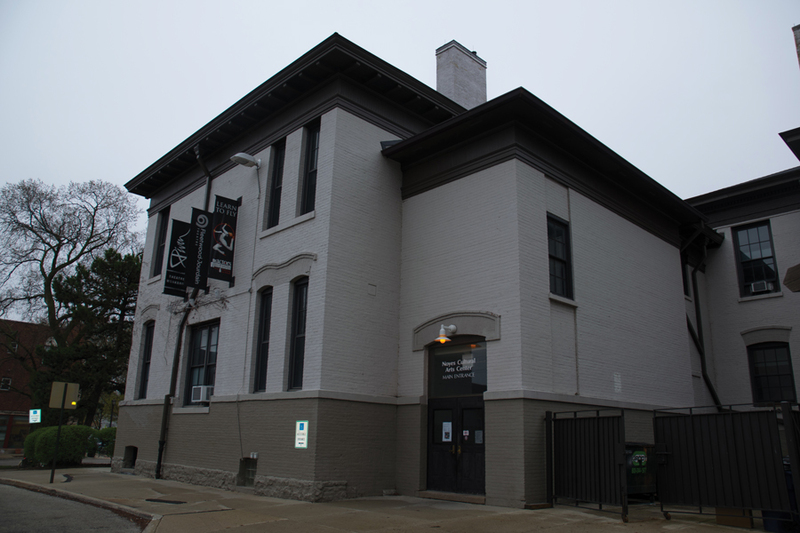 The Noyes Cultural Arts Center, 927 Noyes St. The nonprofit Art Encounter will honor one of its founders, Joanna Pinsky, at a gala Sunday. Most days after dinner, Joanna Pinsky works in her studio until midnight, creating images of the Cuban national hero José Martí and architectural fragments that will eventually float on walls of galleries. Pinsky said being alone in the studio can be isolating and feel self-indulgent. When in 1978 she founded Art Encounter — a nonprofit dedicated to spreading creative thinking to youth and senior citizens — with two other Evanston artists, she found a way to connect more with others. Part of her desire to create the organization, Pinsky said, came after some friends told her and her co-owners that they were intimidated by going to art galleries. She said Art Encounter has helped her balance her life as it has grown over the past 40 years. The organization offers programs in Evanston and Chicago, and Pinsky continues helping others — specifically children and senior citizens — see that art can be interpreted like books, with many different points of view. In light of her work, Pinsky will be honored Sunday during Art Encounter’s 40th Anniversary Gala at the Woman’s Club of Evanston. Donna Bliss, Art Encounter director of development and communications, said she doesn’t know anyone other than Pinsky who has made connections with different people on so many levels. She said Pinsky has a saying — “There are many ways to see” — that has resonated with her. Over time, Pinsky said, she was able to expand the organization’s mission to include travel programs that allow people to explore art and culture around the world. To date, Pinsky has led 15 trips to Cuba and will lead another to Montreal this fall. The trips aim to help attendees see how art affects other cities, and it gives people a more personal connection than if they were to travel alone, Pinsky said. She added that although seeing art in galleries and museums all over the world may seem intimidating, she finds it liberating. She said she led Art Encounter’s first trip to Cuba in 2000, partly because it was forbidden, but also for the art, culture, dance and architecture. On a personal note, that Cuba trip shaped Pinsky’s own art, which is often comprised of architecture fragments. Pinsky said photographing the crumbling buildings in Havana provided a starting point for her projects. She took pictures of doorways, broken statues, the Malecón — the old city wall in Havana — and images of Martí, the Cuban national hero who fought for independence in the late 19th century. Pinsky said she then used the photographs to create colorful, seemingly three-dimensional versions in her studio. Even now, Pinsky said, she likes to mix pieces from Cuba and Illinois, and she is working on combining her Martí pieces with her pieces of Abraham Lincoln — who served in the state legislature prior to his presidency. She is particularly interested in creating work that depicts them with different emotions, she said. Because of her experiences with Art Encounter, Pinsky said she became comfortable with an “everything goes” approach in her own work. James Mesplé, a Chicago artist who first met Pinsky on an Art Encounter tour in 2000, said it is difficult for organizations like Art Encounter to get people engaged, but he admires her determination. He said he wishes Art Encounter and Pinsky could reach more people in the Chicago area by having tours or gallery visits on a weekly basis.